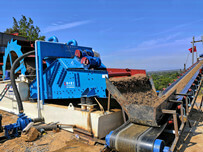 Tailings dry discharge technology is a new technology tailings disposal that has gradually emerged in recent years. 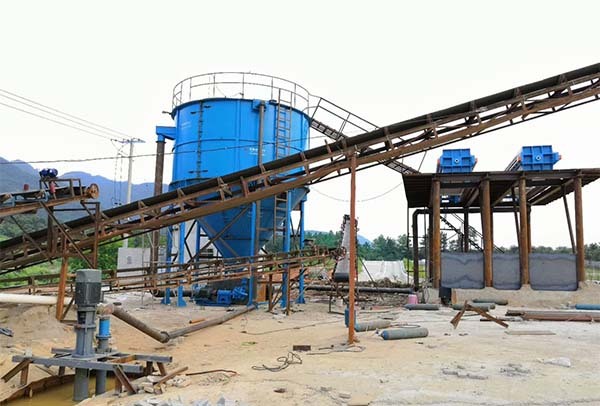 It refers to tailings slurry output by the beneficiation process after multi-stage concentration, and dewatering by high efficiency dewatering vibrating screen,then to form low water content, easy precipitation and solidification slag stored in site. And the slag can be transported to a fixed location for dry storage. Before that, there were basically no mining enterprises that involved in tailings dry-discharge technology. Tailings brought by mines smelting were directly constructed to discharge tailings slurry from the tailings pond. The potential threat to environment and society was extremely large. Abrupt changes in the environment may lead to dam break of tailings pond, which in turn affects the lives of the people and causes great damage to the environment. The tailings dry discharge technology plays an important role in protecting the environment and reducing the tailings dam break. 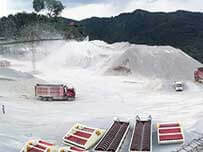 At present, the tailings dry discharge technology is not used in the treatment of tailings. Domestically, the tailings are directly discharged from tailings pond. The mines using tailings dry discharge technology for tailings treatment account for less than 10%. 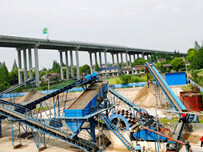 The development of domestic tailings dry row market is still in the state of development, and the market to be developed is still large. 1. 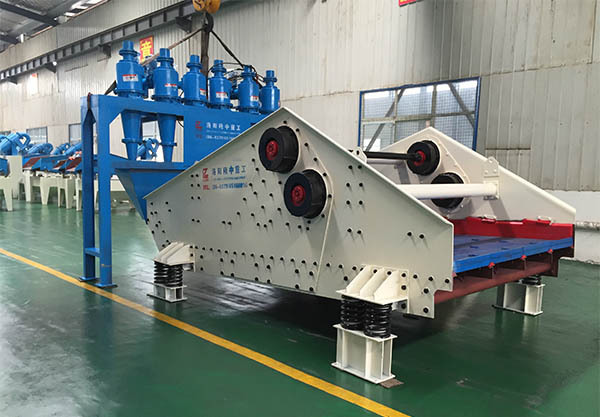 First step: using tailing dewatering screen to achieve material washing, dewatering and recycling. 2. Second step: using thickener to realize tailing water purification and mud water separation discharged from dewatring screens. 3. 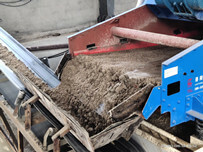 Third step: using chamber filter press to compact the sludge of thickener into mud cake to realize a dry pile.